(Newser) – The Virginia home of President Trump's former campaign chairman was raided by FBI agents late last month, sources tell the Washington Post. Paul Manafort had voluntarily met with investigators for the Senate Intelligence Committee on July 25, and the pre-dawn raid—which came with no advance warning—was carried out the following day by agents working with special counsel Robert Mueller, who's overseeing the investigation into Russian tampering with the 2016 election. The agents, operating under a search warrant, took documents and other materials. A source also spoke to the New York Times about the raid and said agents were looking for tax documents and foreign banking records. The Times notes that those types of records are usually sought when there's an investigation into violations of a law requiring Americans to report their foreign banking accounts. 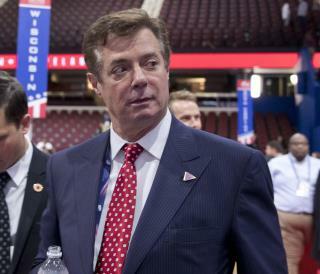 "The firm headed by Paul Manafort, President Donald Trump’s former campaign chairman, made more than $17 million working as a foreign agent of a pro-Russian Ukrainian political party, according to newly filed disclosure reports" Yea, this guy is clean. Sheesh. They should come down hard on this clown as he has no allegiance to anyone ...he will sing like a bird. Whatever the spin turns out to be, know this: the Manafort raid is the legal equivalent to a dead fish wrapped in a bulletproof vest.